April 21, 2011 - no comments. Posted by Larz in Events, Trading Cards. Come visit us at The Toy Street NYC event this friday, 4/22/2011, noon to 8pm. At our table you can get some free promo cards. 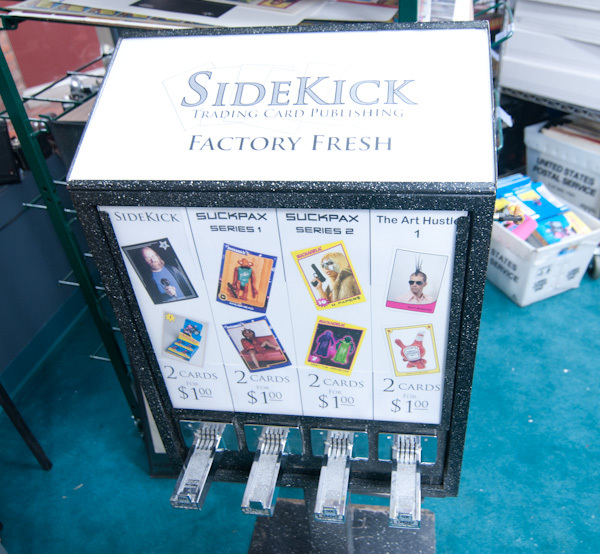 We’ll also have boxes of Suckpax 2 trading cards for sale. This will also be the first event for our Trading Card vending machine! Two cards for a dollar! Cheap!